Unfortunately, he hasn’t put out an album since +…but that’s all about to change and this SNL performance seems to be holding a key to the release of his sophomore album sometime this summer. Just one day after announcing her would be performing on SNL, where he promised to debut new music on his Twitter, Sheeran tweeted out a cryptic message that most have assumed is the release date for his long awaited second album, x (pronounced "multiply"). Check him out live singing traditional song "The Parting Glass." SNL is about the only venue Sheeran missed when showcasing his contribution to the Desolation of Smaug soundtrack in November 2013. 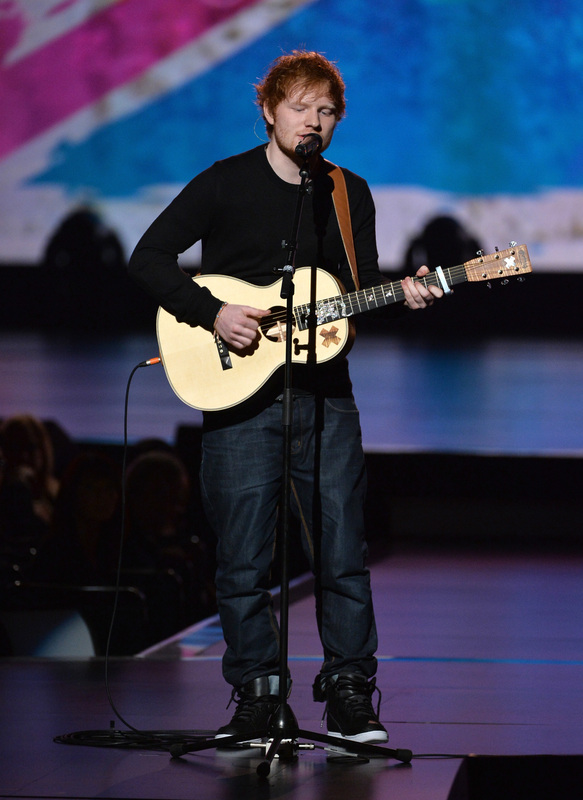 Sheeran first began debuting tracks from x at his live shows, like "Tenerife Sea." The new track we can most likely count on Sheeran performing alongside a classic on SNL is "Sing," which he officially debuted this week. Take a look at the track list Sheeran published on his Instagram to make your own guesses.